On June 2014, I was at Enterprise Architecture Conference Europe in London to present my work on the theme of cybernetics, called Viable System Model meets Enterprise Architecture. During the preparation of the presentation, I was exposed to the concept of the rhizome, created by two French philosophers, Deleuze and Guattari, designed to bring some random pointers about complexity theory, deeply related with the challenges a cybernetician like to reflect on. The rhizome was brought to life in a book called A Thousand Plateaus, that according to the authors, was written in random mode. Every day, they decide in which part of the book they will work on with no direction, rejecting ‘the law of narrative order’, like Robert Musil’s masterpiece Der Mann ohne Eigenschaften (the man without qualities), that by coincidence, was one of my inspirations for the talk at the conference. I bought the book when I was in London but once I buy more books I can read, I only started to read the book these days. Social – how individuals can self-organize in a knowledge oriented world, contrary to Kant’s ideas of following the natural order of laws, rules, regulations and procedures. The emergent self-organization is a matter in focus which is materialized in the concept of chaosmos, that explain the functioning of the universe as a meta-system composed of abstract machines, very well aligned with cybernetic principles. Exciting days are coming. 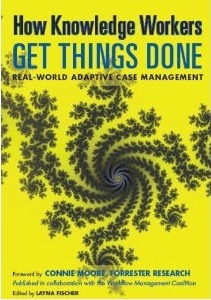 This entry was posted in Complex Adaptive Systems, Cybernetics, Enterprise Architecture. Bookmark the permalink.